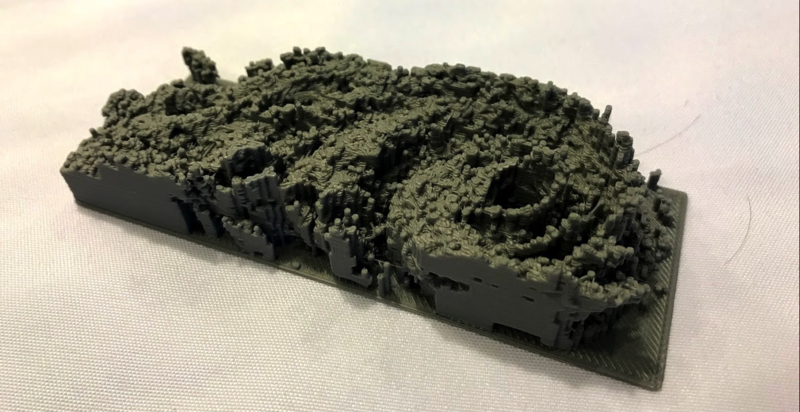 3D printed precipitation data from an overpass of Typhoon Malakas on September 19th, 2016. 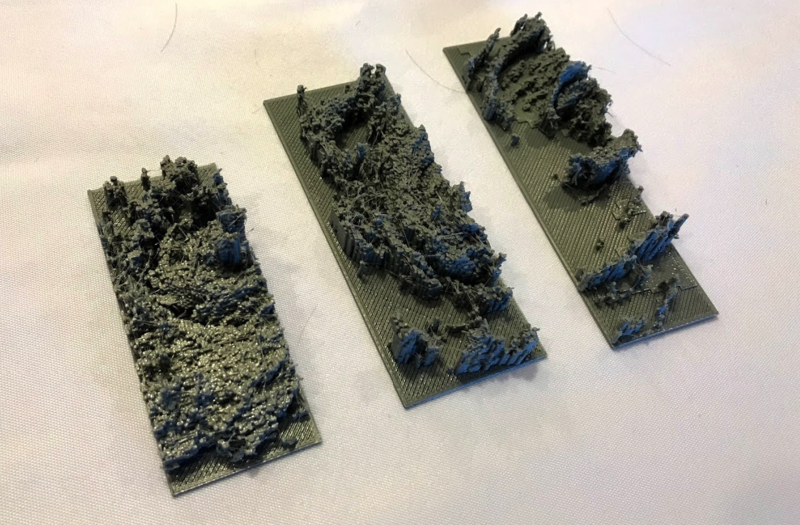 Precipitation data from the Global Precipitation Measurement mission (GPM) was used to generate these 3D printed models of various tropical cyclones and storm systems from the past several years. This data was collected by GPM's Dual-frequency Precipitation Radar instrument, which utilizes Ka-band and Ku-band frequencies to measure the size, shape, and distribution of liquid and solid water particles within clouds in three dimensions. 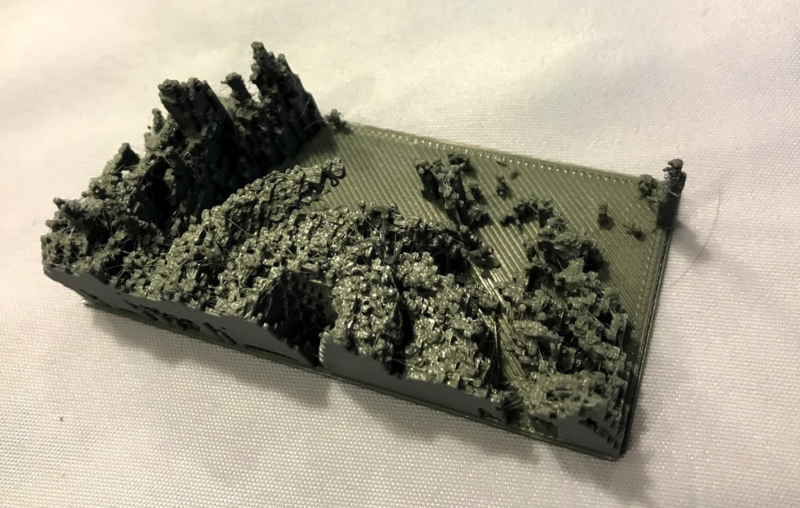 The raw radar data was then processed by algorithms at NASA's Precipitation Processing System to be converted to precipitation rates, then was further processed by a custom Python script to generate these 3D printer files in STL format. The data being printed shows the location of all precipitation within a storm that is above a certain minimum radar reflectivity, which corresponds to precipitation rate.. 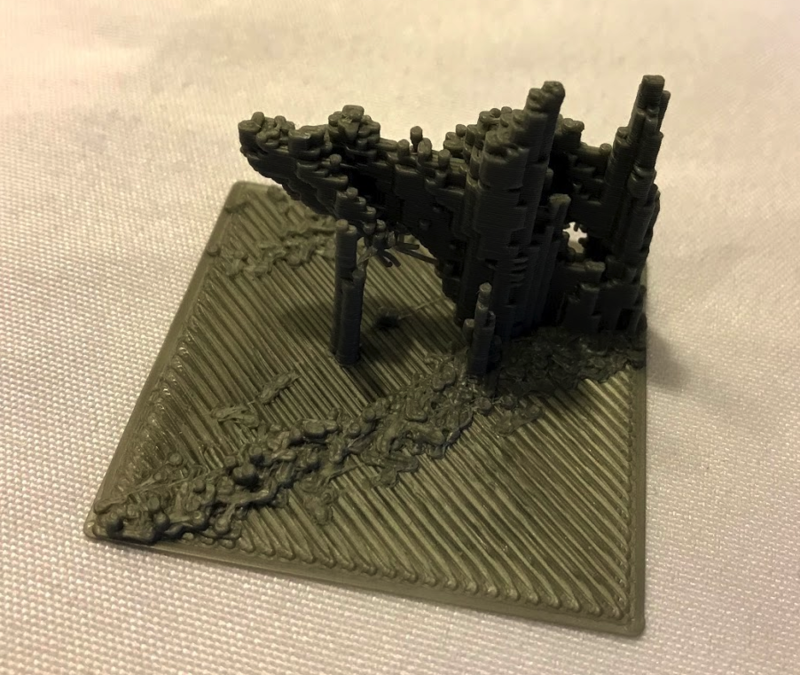 The width of the printed model corresponds to the width of the DPR Ku-band instrument swath, which is 245km. The height of the data has been exaggerated to enhance the level of detail - while each storm varies in height, the cloud tops of powerful tropical cyclones can reach as high as 16km or more. Overpass of Hurricane Irma from September 5th, 2017. Three different overpasses of Hurricane Maria in September 2017.